Spooky season has officially arrived in Baton Rouge and with it comes corn mazes, Halloween parades, Ghostly Galas and so much more! It isn’t a question; Baton Rouge knows how to Halloween. All throughout October, corn mazes and pumpkin patches are all the buzz. Head over to Blackwater United Methodist Church or Jefferson United Methodist Church for your pumpkin patch needs! Blackwater opens their patch on October 1st and Jefferson opens their patch on October 11th! Check out the LSU AgCenter Botanic Gardens Corn Maze on every Saturday of October. On October 27th they have a special Night Maze with a Bonfire starting at 6pm! Also, on the 27th, Blackwater United Methodist is hosting a Pumpkin Patch Family Day that includes carnival games, panning for gold, an obstacle course, a Haunted Mansion and more! Have you ever wanted to go to a Ghostly Gala or a Pumpkin Pi Race, how about a Zombie Pub Crawl or a Halloween Parade? Well, the Fifolet Festival has it all. It is a week-long festival that celebrates all things Halloween led by the 10/31 Consortium! With the help from local businesses, the 10/31 Consortium hosts events throughout the week leading up to Halloween, to celebrate this haunting holiday. The Ghostly Gala kicks the week off with a night full of devilish fun! The gala is the 10/31 Consortium’s major fundraiser and it includes a full buffet, door prizes, a silent auction, a costume contest and more! Go have a night full of frightful fun with your boo at the Ghostly Gala! The week continues with some fun activities for the whole family, including Boo at the Zoo! which is a fun trick-or-treating extravaganza! The Baton Rouge Zoo sets up different stations throughout the zoo to pick up something sweet, so wear your best costume and go trick or treating. They also have a Spooky Train Ride that journeys through a Hay Maze and the Enchanted Swamp! Grab your kids and head over to the Baton Rouge Zoo for some fun treat filled adventures! October 27th is one of the busiest days of the festival and it almost all takes place downtown! Start the day off along the Mississippi River, with the Pumpkin Pi 3.14 Race. You can even take on the “Tough Pumpkin Challenge” by running the race while holding a pumpkin! After the race, head over to Halloween Town, which is your one stop shop for anything and everything Halloween! Consisting of vender booths, contests, all things pumpkin and much more, you are sure to have some chilling fun. After Halloween Town closes its gates, get ready for the Halloween Parade! Starting at 4pm, the Halloween Parade brings to life their theme of “Things That Go Bump in the Night”! Just like any other parade, the krewe members of the Halloween Parade get in the spirit with some candy and costume throws! 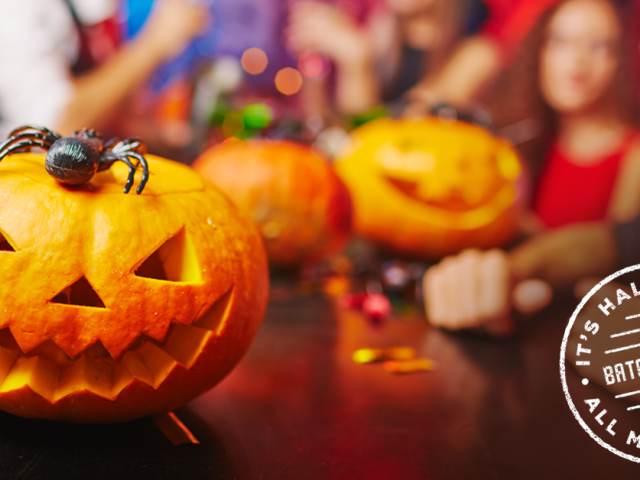 Get ready for a fun filled day full of everything Halloween. 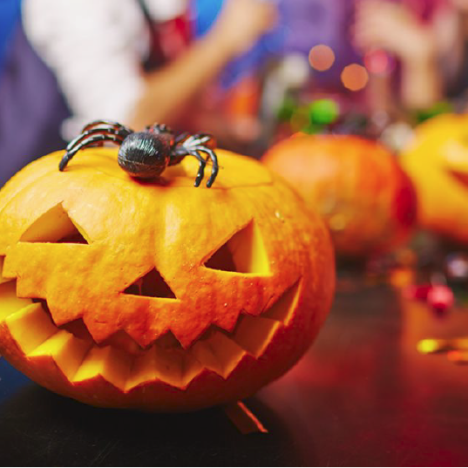 Fifolet Festival is full of spectacular fun with events ranging from a Masquerade Murder Mystery Dinner to a Pumpkin Pi Race. Check out all the events during the festival here to make sure you don’t miss one! Fallon is the current Marketing Intern for Visit Baton Rouge. Born and raised in Baton Rouge, she knows how much the capital city had to offer and cannot wait to promote all the different experiences there are. 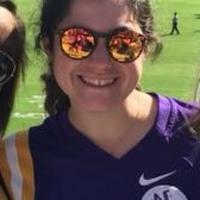 She attends Louisiana State University and enjoys those Saturday nights in Death Valley with The Golden Band from Tigerland playing in the background. Fallon loves playing with her dogs and spending time with her friends and family. Besides that, you can find her either watching Netflix, talking about the Royal Family or eating some good Louisiana food!